Enjoy all the pleasures of camping: a beautiful natural site, a lovely swimming pool or direct access to the beach, bright and pleasant washrooms, a central lodge to spend quality time together, a range of activities… and most importantly, the camping spirit, with a majority of traditional camping pitches. A Huttopia campsite with all the usual services and in addition, a special location, beautiful vegetation, and some car-free areas for greater tranquillity and safety. A large number of spacious pitches, protected natural areas, a maximum of parkings for a minimum of cars on site, large trees and beautiful views. 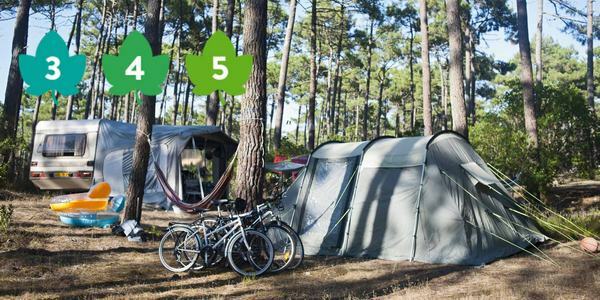 To help you imagine your next holidays, we have classified our campsites into 3 categories.